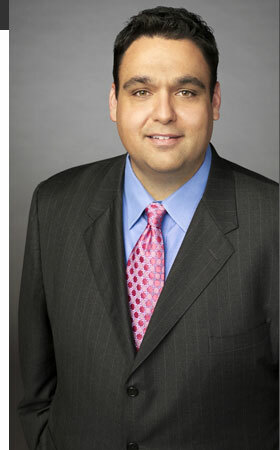 Ed Lavandera is a correspondent for CNN based in the Dallas bureau. Since joining CNN in 2001, Lavandera has covered numerous key stories for the network. Most notably, he was a part of the Peabody Award winning team to cover the BP oil spill in the Gulf Coast. Recently, Lavandera has reported on the Aurora movie theater shooting, destruction caused by Oklahoma tornados, the explosion of a fertilizer plant in Texas, and the influence of violent Mexican drug cartels on American society. He has also tirelessly investigated mysterious deaths at a Florida reform school for boys and controversial pardons from former Mississippi governor Haley Barbour. Lavandera is known for his unique and passionate storytelling and crafting stories that bring to life the wide array of people he meets reporting across the country, displayed through his personalization of US soldier Bowe Bergdahl who went missing in Afghanistan in 2009. Additionally, he covered the aftermath of Hurricane Katrina, filing some of his reports from a makeshift field hospital in a Gulf Coast airport and from the flooded streets of New Orleans. In 2005, Lavandera reported from the President George W. Bush's ranch in Crawford, Texas, during the anti-war protest led by Cindy Sheehan and covered the "Mississippi Burning" trial of Edgar Ray Killen. In 2004, Lavandera covered three of four hurricanes to hit Florida. In February 2003, Lavandera covered the Space Shuttle Columbia disaster. Lavandera followed the effort to recover debris from the shuttle as well as the emotional affect the disaster had on those Texas communities. Additionally he has reported on stories across the Southeast, including the Andrea Yates story, the Houston mother accused of drowning her children, and the execution of Timothy McVeigh. Before joining CNN, Lavandera was a correspondent with WFAA-TV in Dallas. Lavandera reported on the aftermath of the El Salvador earthquake, spending a week chronicling victims' lives. He also covered Pope John Paul II's visit to Cuba. Lavandera covered numerous breaking news stories across the state of Texas, including the 1997 Republic of Texas standoff, flooding in southern Texas and Gulf Coast hurricanes. In 1994, Lavandera covered the gubernatorial race between George W. Bush and Ann Richards and in 1992, he reported from the Republican and Democratic political conventions. Earlier, Lavandera was a news reporter at KVUE-TV in Austin, Texas. He also worked as a news anchor and reporter at KOSA-TV in Midland/Odessa, Texas. Lavandera earned a Katie Award from the Dallas Press Club and an Emmy nomination for his work on a Hispanic news magazine program at WFAA-TV. Lavandera earned a bachelor's degree in journalism from the University of Texas at Austin and is fluent in Spanish.